Anchorage, AK (officially called The Municipality of Anchorage) got its start as a tent city along the banks of ship creek. At the time it was a simple railroad camp. Now Anchorage is Alaska’s largest city with 291,000 people on the 2010 census (holding 44% of Alaska’s population) and is home to the Fort Richardson Army Post and Elmendorf Air Force Base. Besides being populous, the Anchorage city limits are huge, spanning 1,961 square miles (making it one of the geographically largest cities in the nation). Anchorage is located in south-central Alaska and can be reached on the Alaska Highway (otherwise known as ALCAN). The city sits just above sea level, which helps moderate it’s climate. Thanks to the military bases, anchorage has no shortage of moving services: real estate agents to help secure housing, storage facilities, and professional movers. It’s important to note that thanks to the distance covered, moving to Anchorage can cost significantly more. Many companies offer military discounts, but it’s best to discard items that aren’t worth the move. 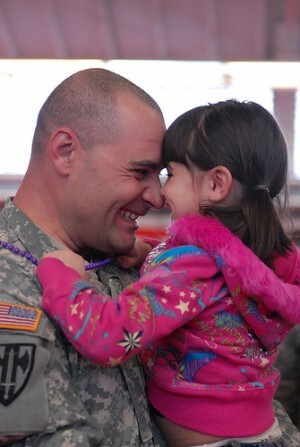 Additionally, JBER is able to provide relocation assistance to certain families. Details can be found at here. Anchorage offers a large number of actives to enjoy year round, many of them low cost or even free. Alaska is known for its natural beauty, and Kenai Fjords National Park is no exception. There is hiking, kayaking, and glaciers to explore. No matter which activity is chosen, care is a must to avoid accidents. Flower lovers should see the Alaska Botanical Garden. It covers 110 acres, is open year-round, and is a popular wedding venue. For a walk on the wild side check out the Alaska Zoo. It is home to over 100 birds and mammals and is a fun trip for kids of all ages. Those in need of a good swim can check out the H2Oasis Indoor Waterpark. It’s open year round and offers exercise classes, swimming lessons, and parties to meet a variety of needs. The Hilltop Ski Area is just a short drive for anyone in need of some winter fun. Discounts are offered for those who purchase passes early, and ski lessons are available for the less experienced. Hikers obviously don’t need to go far in Anchorage, and the most climbed mountain in Alaska is right at their backdoor. Flattop Mountain stands 3,510 feet high and permits dogs (they must be on a leash). Those looking for some free fun only need to look up late at night or early in the morning. The northern lights are most common during the spring (March 22) and fall equinoxes (September 22). Many remote lodges offer special packages to allow guests to watch the lights in the warm indoors and away from city lights. Since Anchorage is Alaska’s largest city it’s no surprise that it also has a very large school district (with approximately 50,000 students and 98 schools). The typical high school in Anchorage has about 2,000 students. These large schools still boast high test scores, with the average ACT and SAT scores being consistently higher than the national average. The average home price in Anchorage is $340,053 and the average 2 bedroom apartment rents for $1,240 per month. Those wanting cheaper housing will need to live in the suburbs. Luckily thanks to a rich supply of natural resources, Alaska residents enjoy some of the lowest taxes in the nation (helping off set the higher cost of living). Additionally, most Alaskan residents are eligible to receive PFD checks (money shared from oil profits). The check amount varies every year due to profit fluctuations and money diverted for other projects. Information on eligibility and applications can be found at www.pfd.alaska.gov. Obviously weather in Alaska can be cause for great concern, but Anchorage isn’t as extreme as myth reports. Summer months see high temperatures average between 60-70 degrees. Additionally, abundant sunlight allows for plenty of outdoor activity and fun. Winters don’t get quite as cold thanks to Anchorage’s proximity to the ocean with an average between 20-30 degrees. However, Anchorage still sees about 78 inches of snow per year and winter months have prolonged periods of darkness (especially from mid-November to late January). Unlike other large cities, large wildlife is often seen in and around Anchorage. There is a consistent population of black bears, grizzly bears, and moose year-round. To discourage bears, it’s recommended that Anchorage residents keep all garbage indoors and not place it out for pick-up the night before. Additionally, drivers should always be on the lookout for moose on the roads. While wild animal attacks on domesticated pets are rare, it’s recommended to keep small animals indoors. For more information on relocating to Anchorage, AK check out the official website of The Municipality of Anchorage at muni.org. The website provides links to special events, government agencies, jobs, and maps.